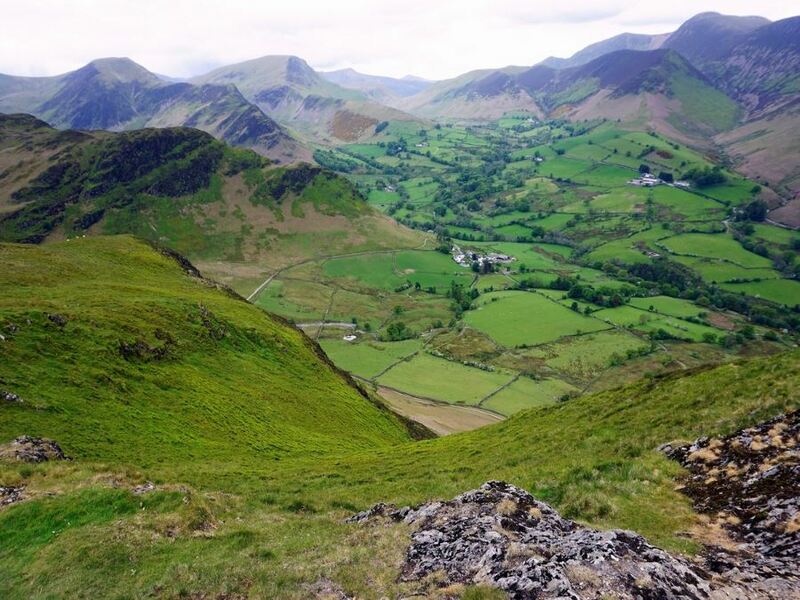 This is a wonderful walk close to Keswick. 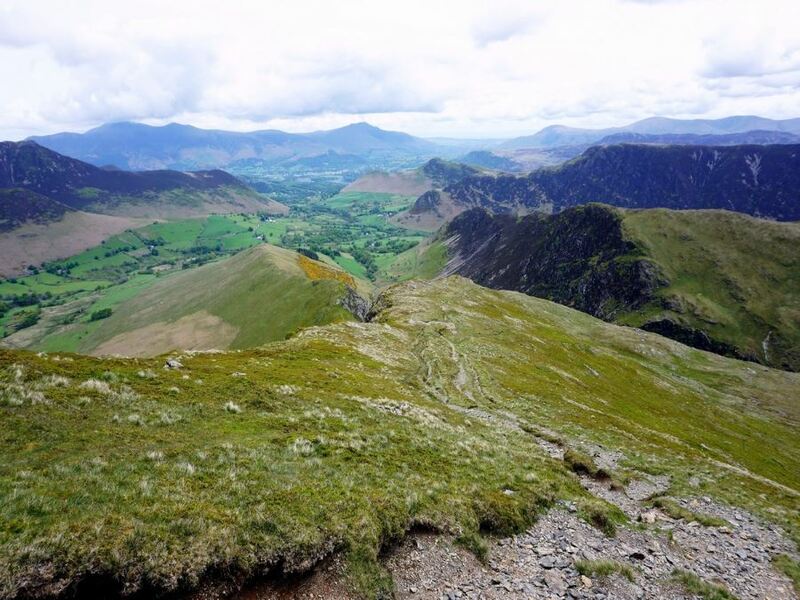 With spectacular views all along the route, especially the end walking down from Catbells, we love this hike! We prefer to park and start in Little Town, doing this as a circular, counter-clockwise route. There is parking at a farm in Little Town or just down the hill beyond it. 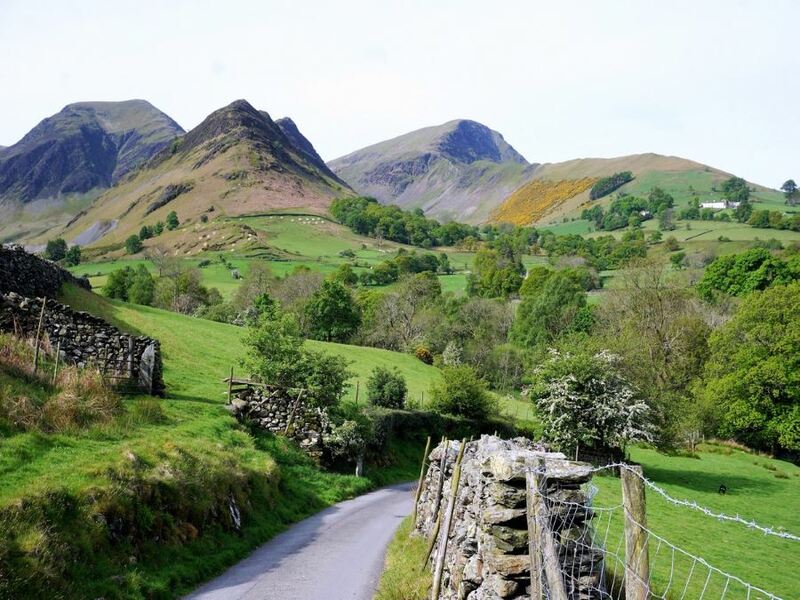 Without a car,we’d take a taxi to Little Town and then walk down to Hawes End and take the ferry back to Keswick. Park at a farm in Little Town (that also has a cafe open during the day). Exit the car park and go right, walking down a hill and passing another parking lot before crossing a stream at approximately 365m. Take the first left after the stream, pass a church and continue ahead on the paved road. On this road you will pass a crossing trail and High Snab Farm. After a 1.6km pass by a residential home and the path will quickly become rocky. 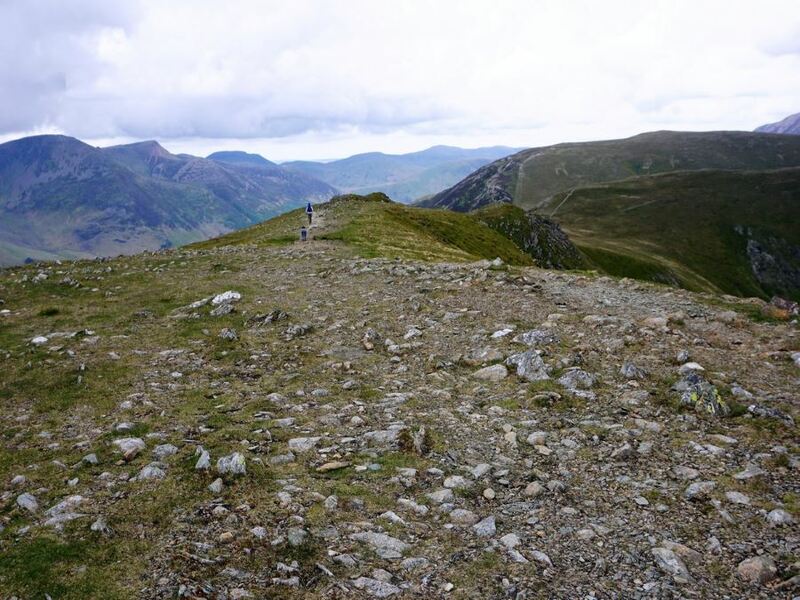 275m later, at the end of the stonewall, there is a path that goes up to a ridge route on the right. This ridge route has some scrambling and a bit more elevation gain. To avoid the scrambling continue ahead through the valley, though this route has a much fainter path to follow (GPS shows the valley route). After 3.0km, pass a small reservoir on your left. Look up on your right at the scrambling steps on the ridge route. Continue up the valley, and upon reaching a high flat portion immediately go right. Do not follow the path ahead, which eventually disintegrates (as the map shows we did). Note, there is no visible path to follow up this ridge. Aim to the right-hand shoulder of Robinson to re-join the ridge top path after gaining quite a bit of elevation. Follow the ridge path up towards the summit of Robinson, eventually coming along a broad path and cairns. 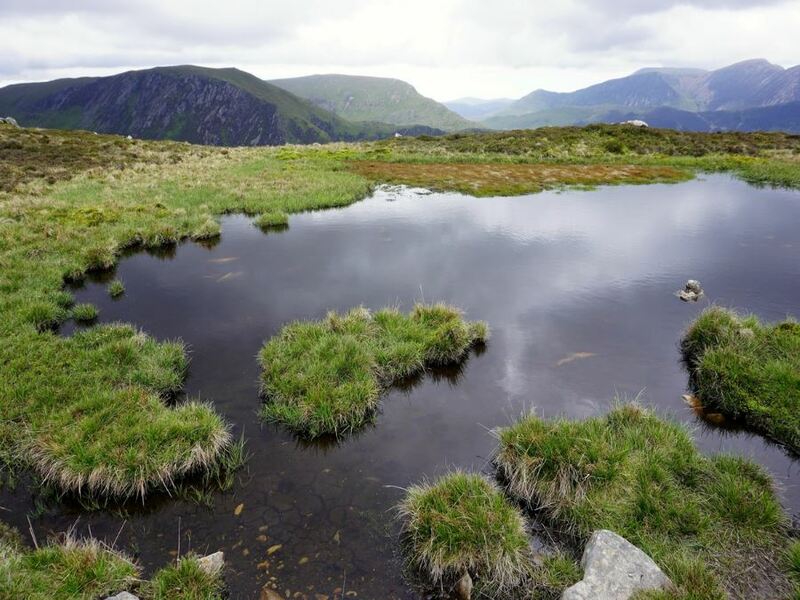 From the summit you can see Honister Pass, Haystacks and much more. 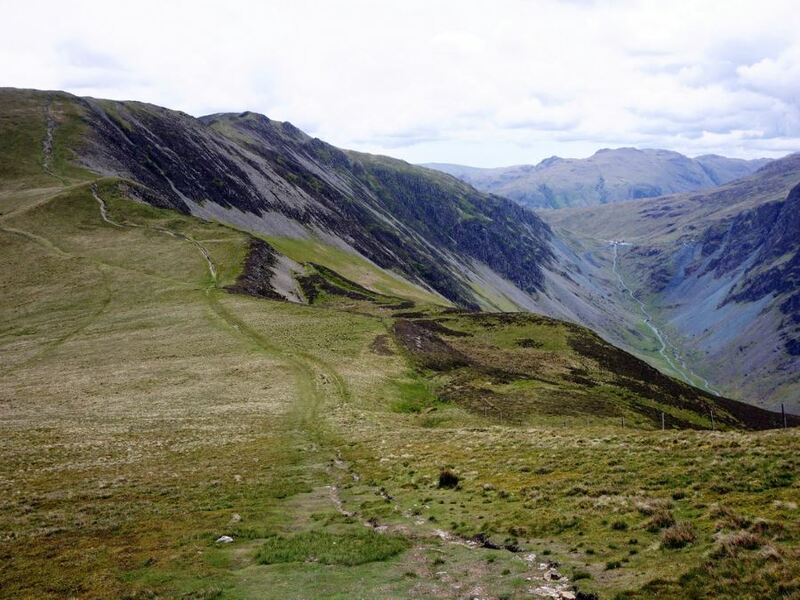 Coming off of the summit, head down to the left with a fence on right-hand side, towards Honister Pass in front of you. At 6.4km the path splits. 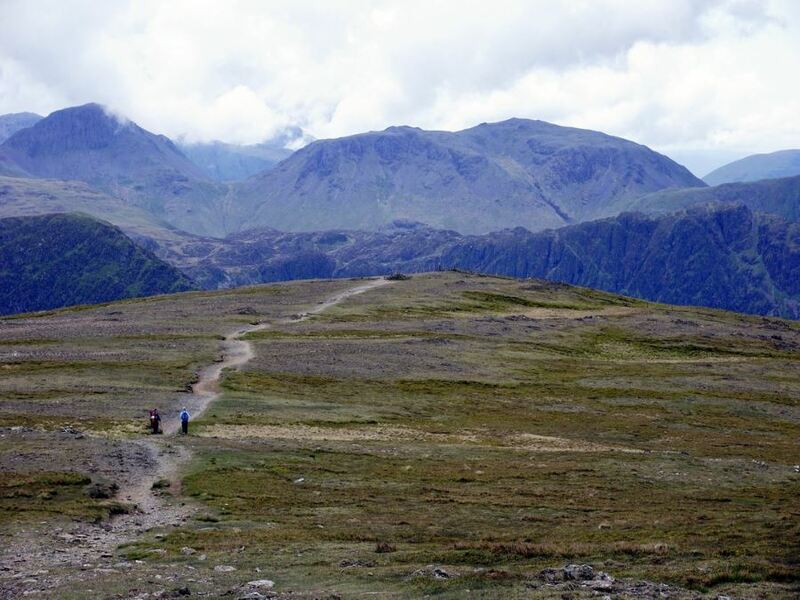 Many people take the left-hand path and head up the top of Hindscarth, a pleasant walk. 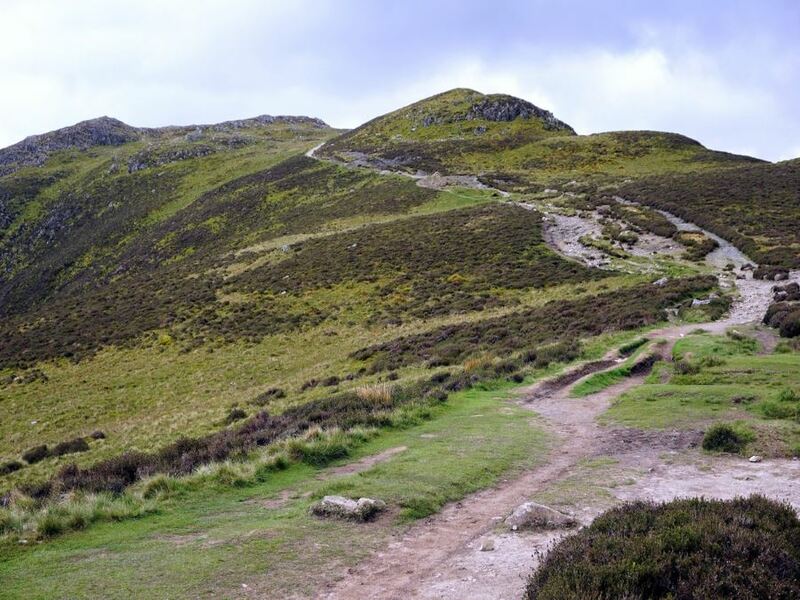 This is a long-day already, so often we will take the right-hand path and skip Hindscarth, instead opting to go straight up the steep path towards Dale Head, which you reach at 8.4km. From here you have wonderful views in all directions! 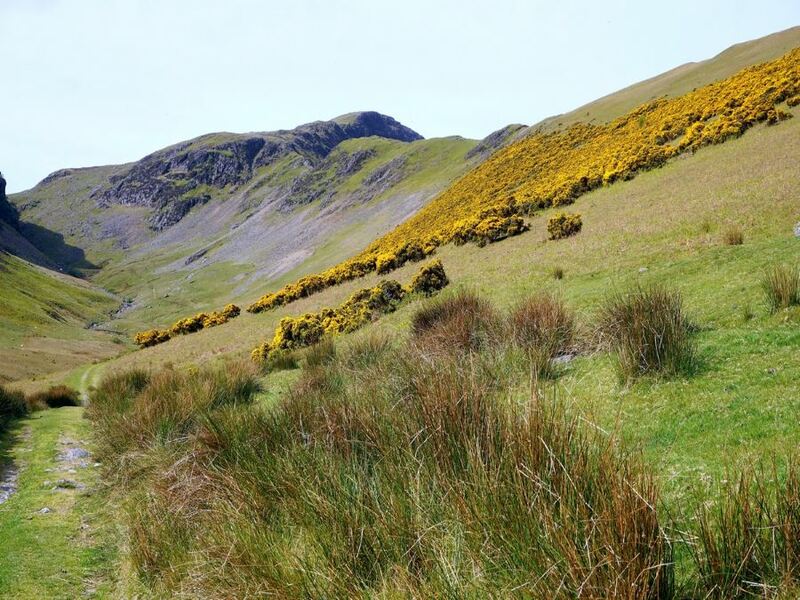 Head downhill along a clear path and after going down a steep descent cross Newlands Beck and then head uphill in a northerly direction towards High Spy. You reach High Spy 915m later. Pass by it and keep going along a broad ridge on a grassy trail. 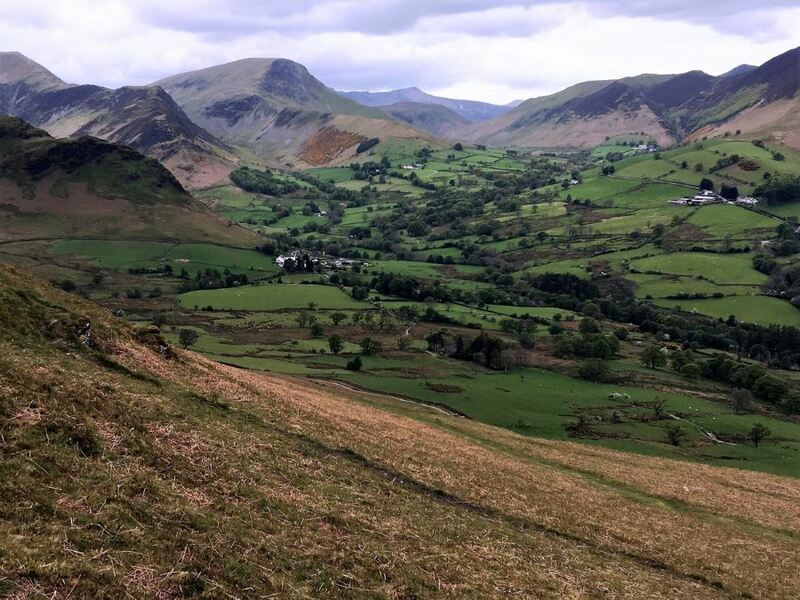 One of the most stunning views on the walk comes at 14.7km, at the famous Catbells. This is worthy of a walk in itself and many people do the daytrip from Keswick on the ferry and then head up Catbells. 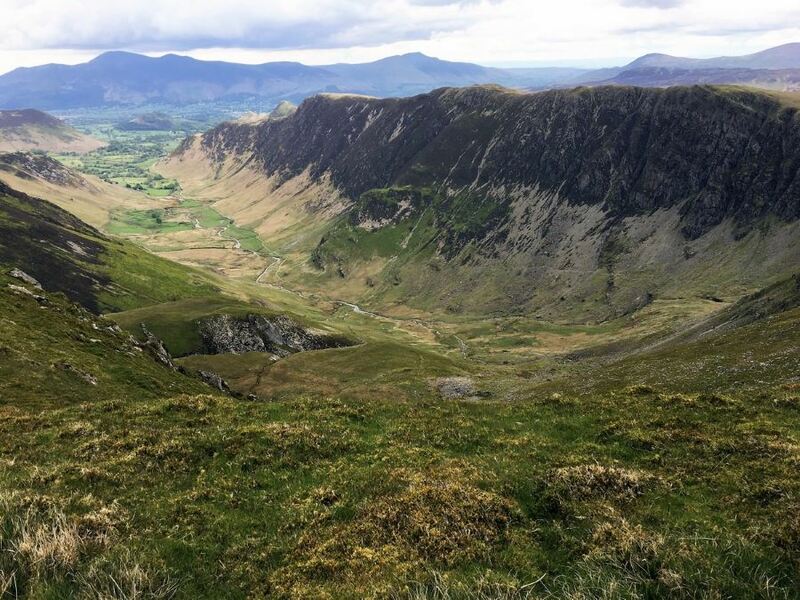 Once you’ve enjoyed the views then continue ahead and down, but beware that erosion and overuse has made this path a tricky one and you may need to use your hands. This descent could be a terror in heavy rain or icy conditions. As you descend you have two options depending on if you drove or are taking the ferry back to Keswick. At 15.3km after reaching a small saddle on the walk down, take a light trail to the left that joins a larger path after 9m. Halfway down the path splits. Take the smaller path to the left towards the road. Walk down to track beside a stonewall and turn left. The track is indirect and curves to the left above the fields before finally branching in two. Take the left-hand path that has cairns. This path crosses a stream where the bridge has been shifted, however you can scamper by on the stones if the water is low. The path curves around to right before you’re back in Little Town – likely elated from a wonderful day out. Continue down from Catbells along the ridge. Upon reaching the road continue ahead in a northerly direction. Once on the path take the first right and then when the path splits almost immediately after, take the left-hand path, quickly coming down to the jetty. If you don’t have your own transport get a morning taxi to Little Town (from Keswick) and take the ferry back to Keswick. The Little Town Guest House has drinks and ice cream. Open most days in summer until 5pm or 7pm, this is a great treat after a long day. 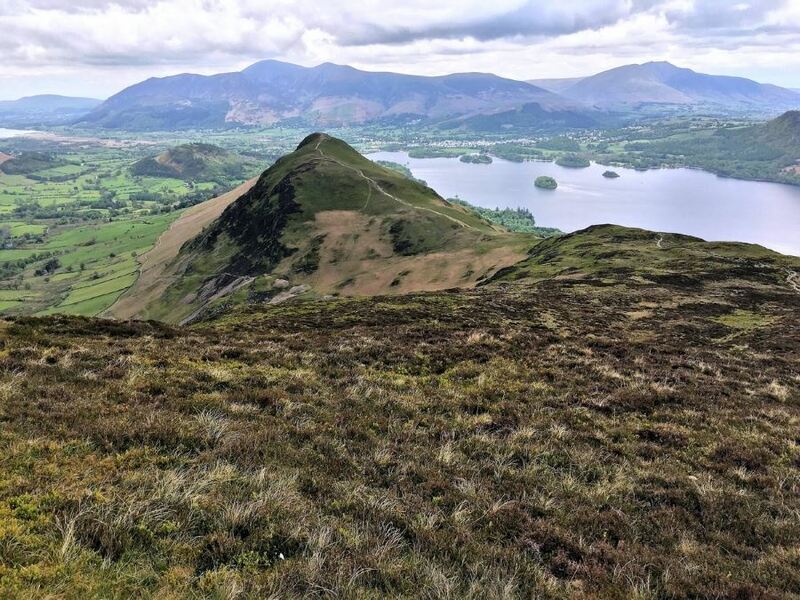 Take care going down Catbells as it’s quite steep – we needed to use our hands and even sit down to get down for some bits! Very accurate description. I have done this hike last year. Took 9 hours though, but I like to take pictures and stop for snacks, views. 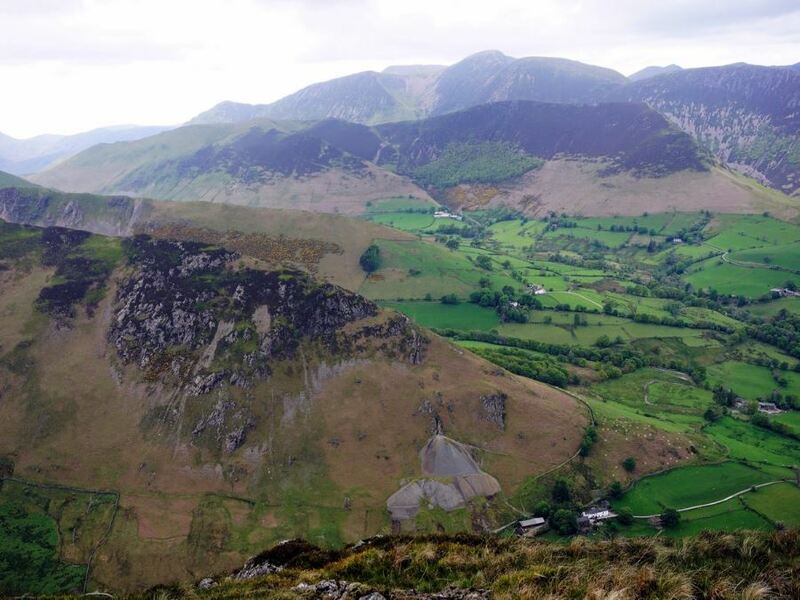 The scenery is amazing at Catbells but if you do not do the whole hike, you don't deserve to see it! That's what they say in the Lakes at least, ha :) Technically I just needed to get sturdier shoes, the weather was dry that time. Physically, it was tough for me.